Reminder: Time is Running Out! 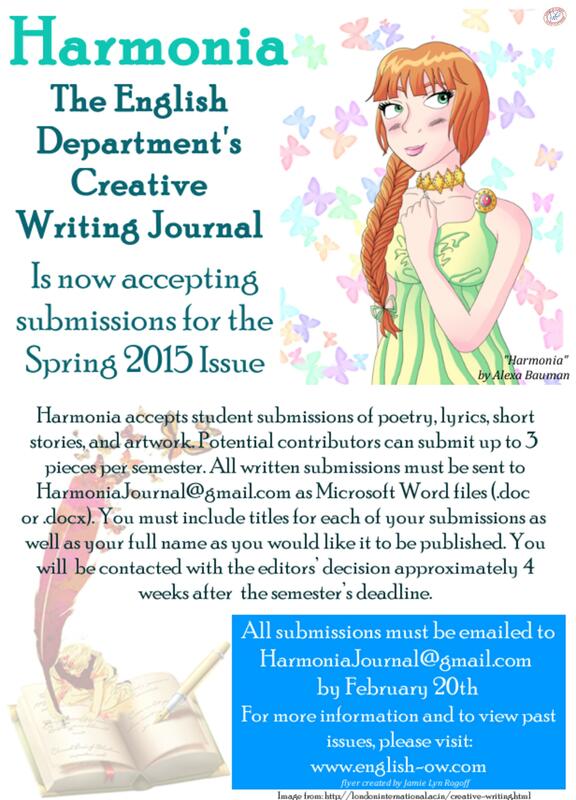 Friday, February 20th is the deadline for students to submit their writing to the Spring 2015 issues of Harmonia, the Creative Writing Journal at SUNY Old Westbury, and Discordia, the scholarly journal at SUNY Old Westbury. 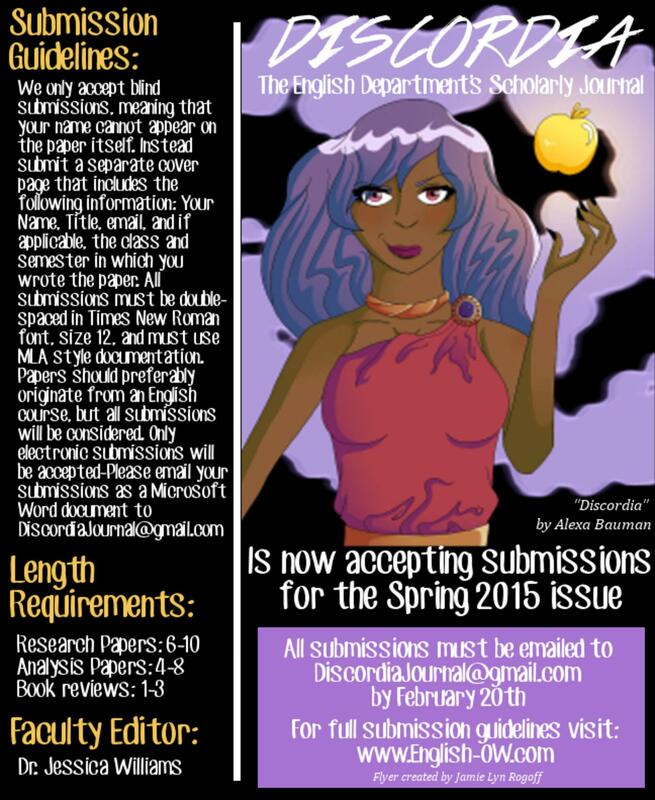 See the below flyers and the “Harmonia & Discordia” section of this webpage (accessible in the left-hand menu) for more submission details. Next Post Reminder: Only One Day Left!